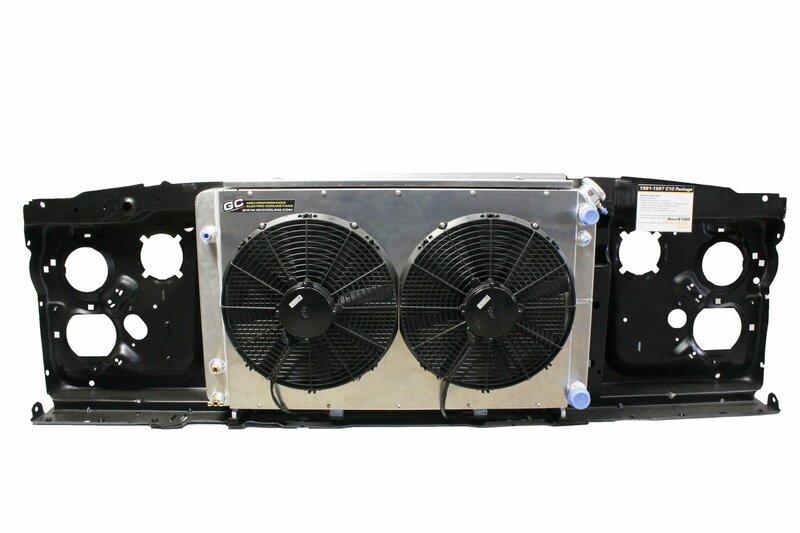 This is the ultimate in cooling for your 1967-1987 Chevrolet C10 Pickup. Designed to our specs by C&R Racing this drop in unit replaces the old factory radiator and mounting brackets with custom direct fit brackets. The unit comes complete with radiator cap, custom aluminum laser-cut shroud, transmission cooler, mounting brackets and twin GC Cooling HP 14" fans cranking out 3522 cfm! This is designed for applications up to 1000HP.